Security - yes, it is important! - Valley Technologies - Your Web Solutions Experts!Valley Technologies – Your Web Solutions Experts! Security – yes, it is important! What is SSL, and why is it so important to your website? SSL (Secure Sockets Layer) is a standard technology behind establishing an encrypted connection between a web server (host) and a web browser (client). This connection between the two makes sure that all the data passed between them remain private and intrinsic. SSL is an industry standard and is used by millions of websites to protect their online transactions with their customers. If you have ever visited a website using the https:// in the address bar you were creating a secure connection via SSL. If you have an ecommerce store or sell items via your website, SSL helps in establishing trust with your customers. Using an SSL certificate creates an encrypted connection between the user’s web browser and the web server. This means that any data transmitted between the web server and the web browser cannot be read without first being decrypted. This protects the data from being spied upon by someone else on the internet because they will not be able to understand the encrypted data. Most SSL Certificates contain the domain name, company name, address, city, state, and country. It also contains an expiration date of the certificate and the details of the Certificate Authority (the company who issued the SSL). When a browser attempts to establish an SSL connection to a website it checks to make sure the certificate is not expired, has been issued by a trusted authority, and is being used for the correct website. If any of these checks fails, your web browser will display a warning letting the user know that the site is not secured by SSL. When you go to the Bank Of America’s website for example, you know it is the actual website and not a fake website because you can see the padlock in the navigation bar. Another way is by seeing the “HTTP” replaced with “HTTPS” in the URL. 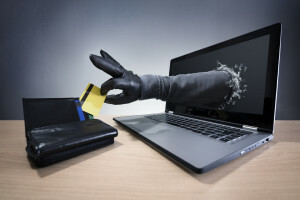 If you don’t, then the website is not secure and is probably made to look like the real one where identity thieves can steal your banking information. A standard SSL certificate can cost anywhere from $10 to $100 a year depending on who you are hosting with. 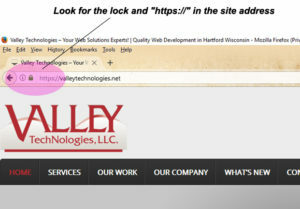 Valley Technologies normal pricing is $89 per year for SSL Certificates. But due to the new labeling by Google as “NOT SECURE” for any site without SSL, we are offering a 25% reduction on your order placed before August 1, 2017. And if your site is hosted with us, installation is at no additional fee. Give us a call today to discuss our complete line of website security products.